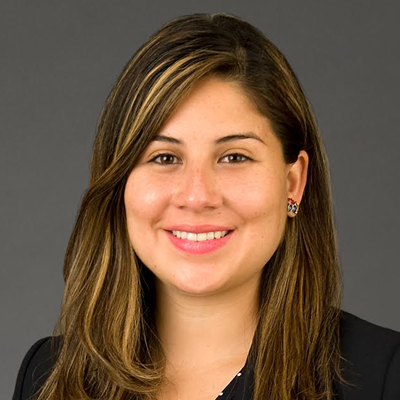 Blanchi Roblero brings extensive experience in legislative advocacy, strategic outreach and knowledge in navigating the congressional process to Penn Hill Group. Previously, Blanchi served as Deputy and Acting Chief of Staff to the Office of Legislation and Congressional Affairs (OLCA) in the U.S. Department of Education (ED). In this role, she provided strategic advice to senior leadership in OLCA, as well as built and managed relationships with Members of Congress and other agencies. She also developed and implemented strategies for ED’s outreach efforts with local, State and Federal stakeholders. Furthermore, she managed OLCA’s role in a range of policy and funding areas, including appropriations, civil rights policy, higher education policy and other key policy issue areas. Additionally, Blanchi directed ED’s team for political nominations, ensuring that the Senate Health, Education, Labor and Pensions (HELP) Committee advanced President Obama’s nominees, including the confirmation of former ED Secretary John B. King. Prior to joining the Obama Administration, Blanchi worked in the office of Senator Kirsten Gillibrand (D-NY), where she oversaw the Senator’s constituent correspondence process. Blanchi is passionately engaged in advocacy efforts addressing immigrants’ and women’s issues in the education field and in growing her own expertise and experience. She completed a Gates Foundation-sponsored Graduate Public Policy Fellowship for the Congressional Hispanic Caucus Institute in 2012, where she worked both for Senator Chuck Schumer (D-NY) and at the White House Initiative on Educational Excellence for Hispanics on Federal policy matters directly impacting minority students. In 2012, Blanchi authored a policy brief, Professional Development: The Importance of Teaching Vulnerable Populations, which highlighted the challenges of adequately preparing teachers to educate English Language Learners (ELL) and underscored the absence of high-quality professional development programs for teachers who educate ELLs. This brief was published by the Harvard Journal of Hispanic Policy. Blanchi holds a Master’s degree in Education Leadership, Politics, and Advocacy from New York University (NYU) and two Bachelor’s degrees in Economics and Sociology from the City University of New York (CUNY), Hunter College. You can reach Blanchi at broblero@pennhillgroup.com.